In the summer of 1948 Fahan were selling their old organ and if it was moved over the border the customs charge would be 100% duty and purchase tax at their own valuation. So it was decided to sell it in Buncrana or <?xml:namespace prefix = st1 ns = "urn:schemas-microsoft-com:office:smarttags" />Dublin or advertise in local papers. Because it needed repairs those interested would not take it so it was removed out of the stable to some dry place. On 1 August 1948 a organised boat trip to Portsalon made a profit of £5.10 which was shared with Fahan and Inch. On 15 August 1948 a bus trip made profit of £4.50 which was shared between the 2 churches. Rev TJ Holmes, stated at a committee meeting held on 10 October 1948 that he wanted to hold a Bible class or something in the middle of the week. It was also decided to turn one the stables into a hall so as to be near the church and also central for the congregation. Finally, both stables were converted and estimate for the cost was £130.00. People were asked to volunteer to take the stands down and bring sand. 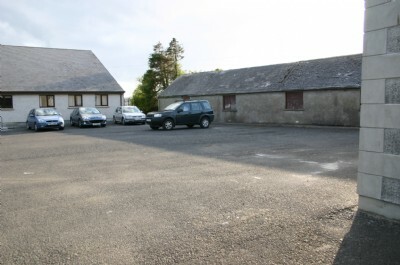 The former stable on the far right was later concerted to a Church Hall and is currently vacant. 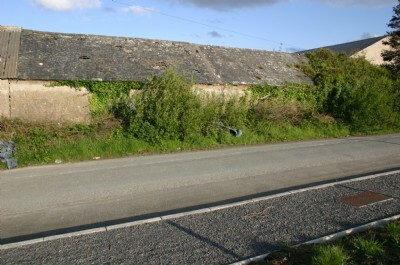 The former Church Stables in need of some care,viewed from the North. A new stable was to be built as one or two families still traveled to church by pony and trap and the cost altogether was £250.50. A wooden floor was used instead of a concrete one. The opening service in the new hall was on 27 February 1949 with a social held the next day. In November 1951 it was decided to sell the manse as it had become vacant which achieved the sum of £2,000.00in the Spring of 1952. The annual church outing to Sligo was held on 31 May 1952 and the sale of work on 14 June.